If you’re a gamer in a busy household you might not always be able to game on the Xbox console connected to your television. The good news though is that you can stream your Xbox games to any other Windows 10 PC on your home network. 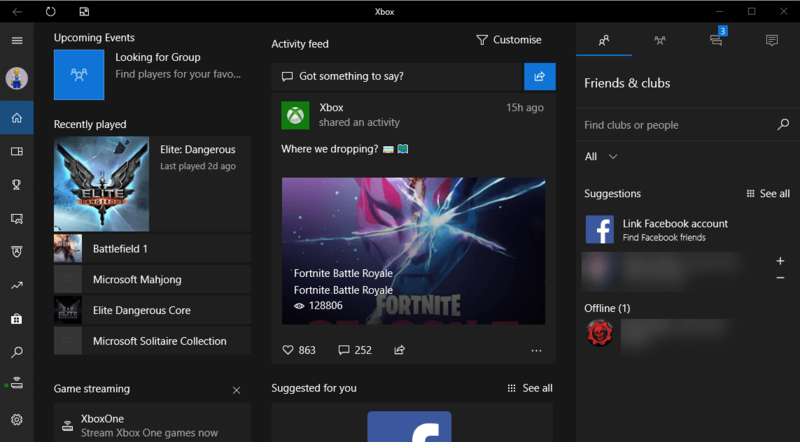 To achieve this, open the Xbox app from the Start Menu and you will be prompted to connect the Xbox on your network. With the Xbox connected you will see details of your Xbox player dashboard, the games you have installed, and activities you can engage with. On the left side is a Game streaming button. Click this button to launch full screen streaming from your Xbox to your PC. The streaming works exceptionally well unless you have a very poor Wi-Fi connection on your PC, and you can use an Xbox controller connected to your PC via USB to control your games. This is great news for gamers as it means that when your partner wants to watch the latest drama, or the kids want to watch a concert, you can still carry on gaming whenever you like.